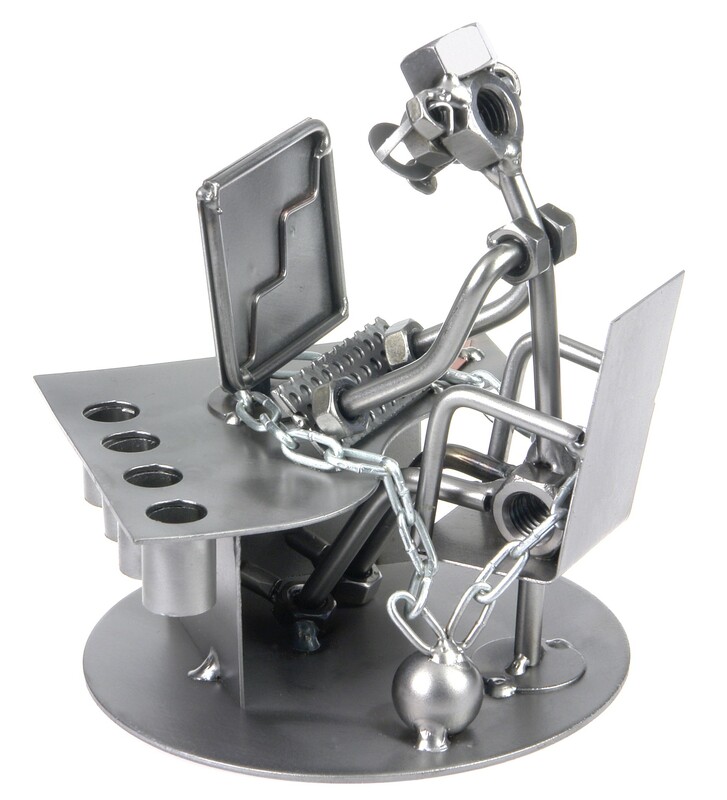 A metal figurine chained to his desk. A funny and functional present with a pen handle perfect for every office worker. It will motivate your employees.